Free parking will be provided for our guests. Sandwiches, assorted finger foods, and refreshments will be served. *Please let us know if you have food allergies in advance so we may accommodate you. A fact-filled discussion about the various strategies available to grow your business awareness fast! Hosted by The Edge: A Leader’s Magazine, partnering with Sandals and our special guest speaker and President Mr. Curtis G. Ellis. 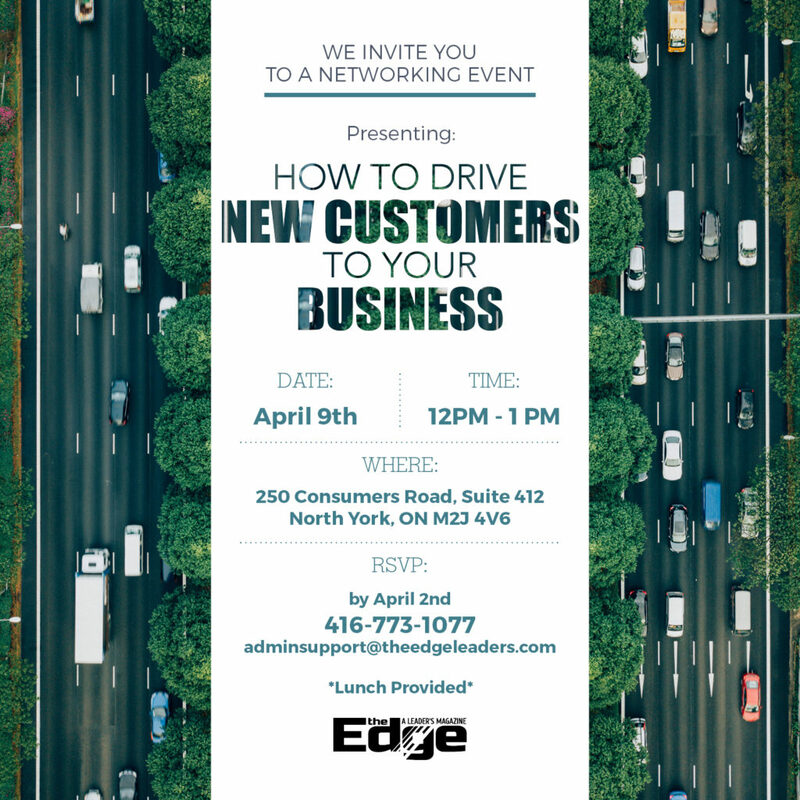 Our team has designed this event to not only get you thinking about your company and its growth, but to also give you some handy tips to ensure stability, clarity and the results that you want. Reserve your seat today. Be a part of The Edge family. Perfect for entrepreneurs, speakers, coaches, consultants, professionals and leaders. What to expect?Registration – Each attendee receives a special “The Edge” gift. The EDGE Leaders Magazine is a Division of The DBPC Group of Companies.